With the release of Avengers: Infinity War, Edinburgh is in the spotlight as a major location from the film. This got us chatting about our favourite Edinburgh-set films (and other media), so cue up your Netflix account and get to watching! From Bruntsfield to Leith to a callback of the infamous Princes Street scene from the original, T2 Trainspotting felt like an homage to Edinburgh from start to finish. Showcasing the underbelly nearly as much as the beauty, the film was full of cheeky Edinburgh in-jokes & recognisable landmarks. Maybe it appealed to me more as a transplant to this city- there’s something special about feeling like you’ve finally lived in a place long enough to understand the jokes about it- and whether or not you’re a fan of the original, the sequel remains a fun view that’s more accessible, less haunting, way less gross and just as Scottish as the original. I mean, just try not to feel a pang of pride in our city when the opening notes of Underworld’s Born Slippy kick in on the trailer! Moving from a foreign, wild and lawless land (Wales), I remember watching The Illusionist within the first week of my feet planting themselves in the hops-smelling, cobble-strewn streets of Edinburgh. It captured every awe-felt feeling I had towards the city. Its oldness captured with washed colours, seeping into the sky as naturally as the mountains. The city itself is shown throughout the film in the form of pure escapism, its urban gears churning under sun-bleached streets, its culture vivid in the form of the unforgettable housemates. The story follows a magician who finds himself on the very edge of the known world in the North of Scotland. He attracts the attention, admiration and curiosity of a young girl, who follows him back to the Capital, won over by his magic and possibilities. 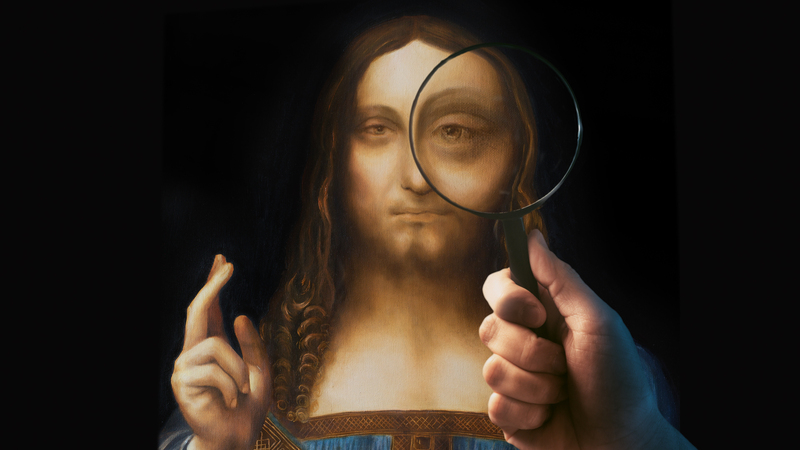 It’s in the city, though, that the magician comes unstuck. Outplayed and outdated by rock n’ roll, he picks up any job he can to keep the illusion of grand magician alive. Sad, often dark, the tone can prick your inner demons of social standing and career achievements with such intense accuracy that you find yourself awash with empathy. This arc of characterisation against the superbly animated, drawn and tailored visuals means, for me at least, The Illusionist is Edinburgh’s greatest film. I applied for a three-month internship when I had just completed my first degree in photography. 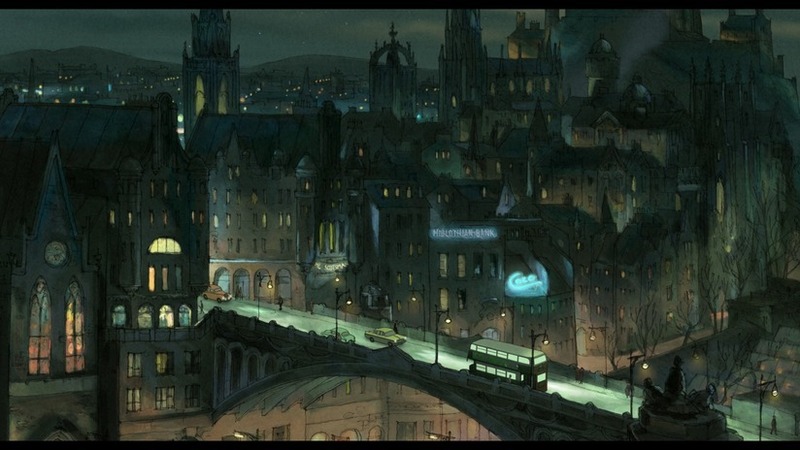 The role was to take still and moving images of Edinburgh for the illustrators of The Illusionist to work from. I had two interviews but didn’t get the position. Danny Boyle’s cinema directing debut, Shallow Grave, holds a special place in my ‘watch again and again’ film archive – and that’s in no small part due to its setting on my home patch. I saw it for the first time in ’94 as I was in the process of arranging a daunting mortgage for my very first flat – in Broughton Street, on the edge of Edinburgh’s New Town, and a few minutes’ walk from the location where Danny’s thriller unfolds. As the main protagonists demonstrate the potentially disastrous consequences of flat-sharing, we are treated to fast-paced tours of the cobbled streets from the low-level viewpoint of an old Mini, with Leftfield leading the soundtrack and richly coloured visuals throughout. A powerful mix, and I can’t deny that the Shallow Grave flat interior (actually a set in a Glasgow warehouse but very believable nonetheless) inspired the decor in my own new pad. Despite the murder, that film cemented my love of the New Town and my subsequent moves have all been within its beautiful boundaries. A story about the friendships of 4 women as one of them approaches her wedding day…and the absolutely carnage that ensues when it all goes wrong. Filmed in various places around Edinburgh, this is really a salt-of-the-earth film. Location-wise it appealed to me because I’ve lived in several of the areas featured and I get a warm and fuzzy feeling watching the characters pull together to keep each other going. It also features Michael Fassbender before he was really famous, which sweetens the deal a good bit. But be warned- while charming, this film deals with various dark topics from abuse to drug use in a classic Irvine Welsh way, so expect some dark and disturbing humour. 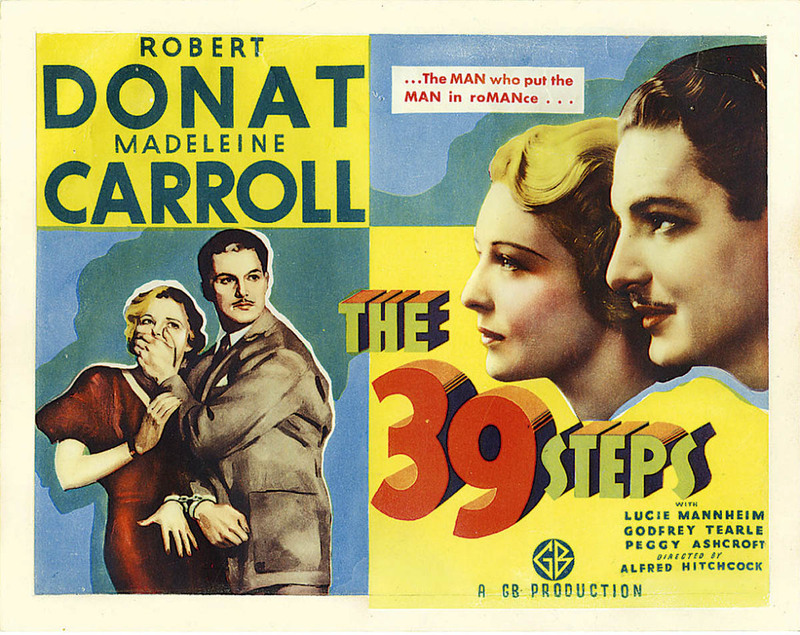 I love the old version of The 39 Steps. It’s full of atmosphere and tension, trademarks of Hitchcock even though it was a very early film of his. And bonus points for the dodgy Scottish accents. Overall, much better than the 1970s version with Robert Powell dangling from Big Ben. 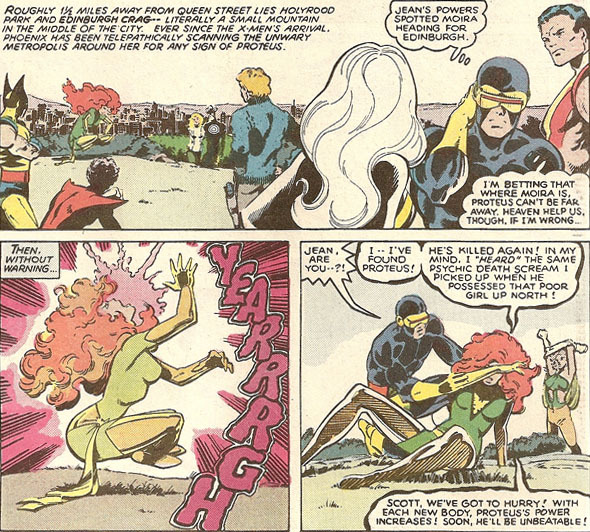 In Issue #128 way back in 1979, the X-men found themselves in Edinburgh with locations including the Crags, the Castle and the West End. Back then, using Edinburgh as a location was quite exotic and the city had possibly never appeared in a comic before- it was fascinating to see these characters in these environments. Despite the fact that there have been films and tv shows that have used Edinburgh at times, I’ve always thought it’s still well under-utilised as a location. It’s so unique and lends itself to stunning backdrops that generate real interest and a sense of importance to any story being told. 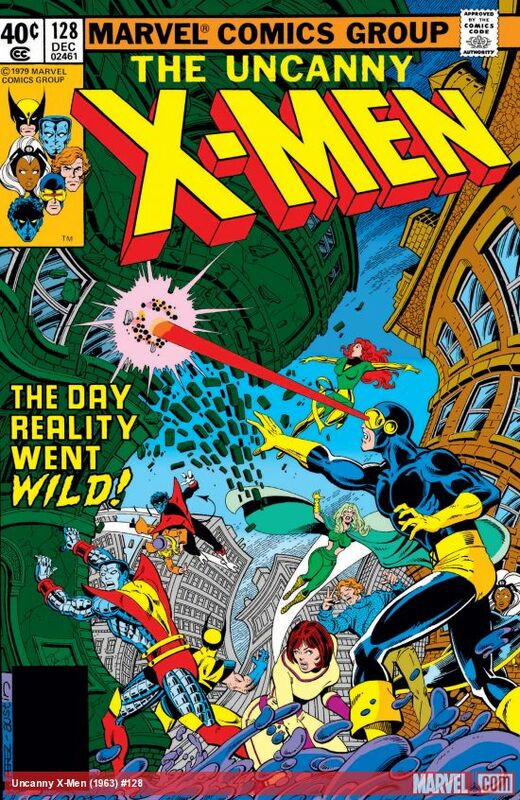 It will be intriguing to see how Avengers: Infinity War uses Edinburgh compared to X-Men almost 40 years ago. Will Avengers measure up to these classics? We’re looking forward to finding out this weekend!